On Saturday February 23, 2019 the men of Stephen’s Place ascended on the Town & Country Lanes for a night of Bowling and fun. On the ride over to the lanes the discussion was who would get the Turkey (roll 3 strikes in a row). Everyone said they could but only one person (Nick) accomplished such a feat. It’s a good thing that we ate sandwiches from Lehigh Pizza before we left because the competition was fierce as we expended our energy trying to reach the highest score. There was an audience of (2) cheering us on, my grandson Dorian and one of our residents (Jared) who was unable to participate due to having surgery on his hand. Overall we had a very good time sharing in laughter and fellowship as well as experiencing fun in recovery. 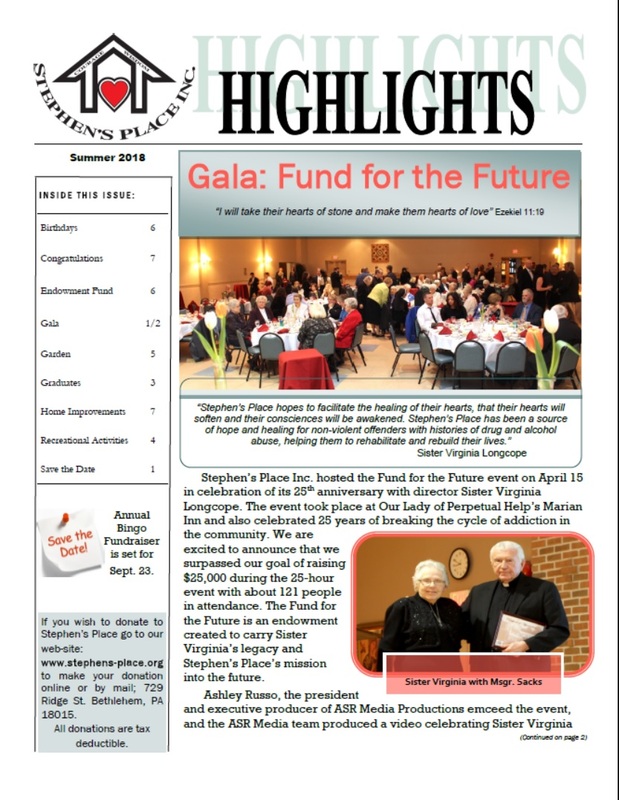 Check out our latest summer newsletter! Just click the image below to open the newsletter. 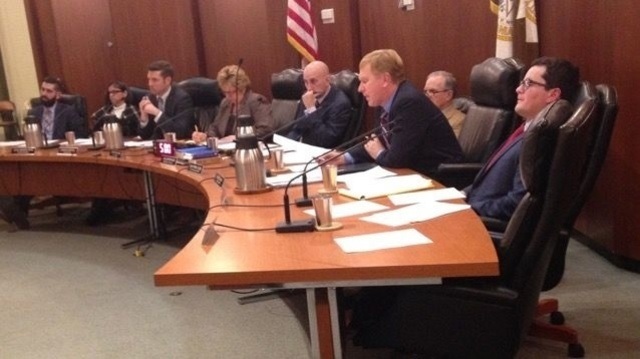 The city of Bethlehem held its recent City Council meeting on March 6th 2018 in the town hall. 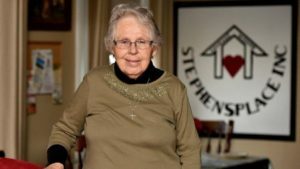 Back in 1992-93 during the inception of Stephen’s Place, Sister Virginia Longcope had to face some resistance in the community while pursuing her mission of opening a halfway house for men. Although the stigma has changed over the years, men and women returning to the community after incarceration have an uphill battle with many obstacles. Mr. Antalics pointed out that the people in her home we know are addicted and they come out cured in the majority of the cases, but there are the addicts we do not know about by name who might live next door to you. 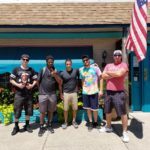 Stephen’s Place and the recovery community as a whole are grateful for individuals like Mr. Antalics speaking out about his experience and showing support for people trying honestly to better themselves and return to the community as productive members. Thank you so much Mr. Antalics for your kind words at the City Council meeting! Stephen’s Place is lucky to be able to call you our neighbor! Through the continued generosity and support of our donors and the community Stephen’s Place was able to take our annual summer beach trip! This weekend long recreational activity is one that is highly anticipated by the residents of Stephen’s Place. Friday July 14th we departed for Ocean City, New Jersey. Upon arrival the men got settled into their hotel room and sought out a nearby Narcotics Anonymous (NA) recovery meeting. One of the reasons we select Ocean City, NJ for this excursion is because this is a dry town, meaning they do not sell any alcohol. The men are still expected to be accountable to the requirements of the program here at Stephen’s Place and with that they are required to make their NA /AA meetings. The gentleman enjoyed spending time in the hotel Jacuzzi and pool the first evening. The next day was spent on the beach where the men were able to enjoy the beautiful sun, water, and waves! 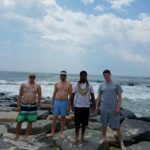 Some of them shared that this was their first experience going to the beach without the presence of drugs or alcohol. The purpose of these recreational bonding activities is for the men to feel what good things life has to offer without getting drunk or high. Part of building a sustainable life beyond addiction to drugs and alcohol means finding enjoyment and happiness in your life to create balance. Not only do these activities give the residents something to look forward to and a chance to really bond with one another, it shows them how to enjoy life. This can be especially important when coming from the dark place addiction can take you, it can generate hopefulness for the future! It is our hope that we will be able to take this exciting trip again next year! Thank you all for your care and concern and support in our daily effort to change and save lives by breaking the cycle of addiction in our community! 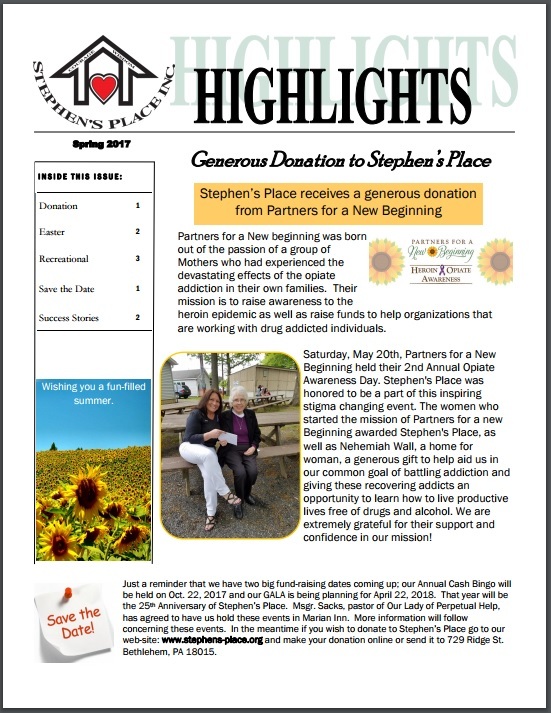 Stephen’s Place is the proud recipient of a $10,727 grant from the Catholic Human Services Foundation in Pittstown New Jersey. Through the help of this foundation we will be making some greatly needed renovations to the house! We are very excited to begin the installation of the new carpeting on the second and third floors of the home. These floors are where the residents live while they are here at Stephen’s Place moving through the program. The carpets are the originals that were installed when we moved in the house 24 years ago and were in need of being replaced. It is only through the kindness of organization’s like the Catholic Human Services that we are able to continue to do our work with men recovering from addiction. In addition to replacing the carpets these funds will be going towards the second project of replacing the damaged slate on the roof and putting in new gutters and drainage pipes. The slate on the main roof of the house will be replaced where needed and the roof on the back of the house will be replaced. This portion of the house is an extension made by the previous owners. The replacement of these areas of slate is needed in order to preserve the integrity of the main house and the extension portion as well. We are extremely grateful to receive this support from Catholic Human Services Foundation in Pittstown New Jersey so that we may continue in our effort to change and save lives by breaking the destructive cycle of addiction! 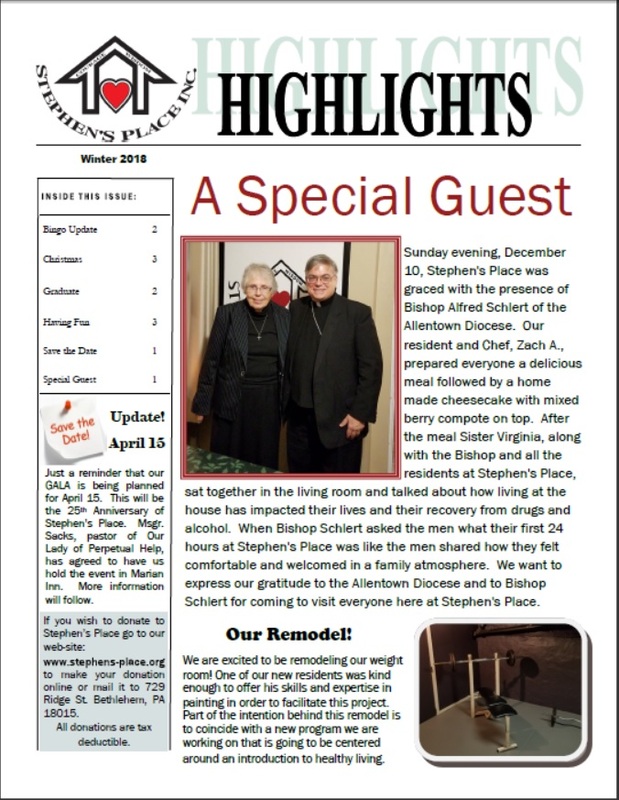 Stephen’s Place has been a part of the Lehigh Valley community for the last twenty four years. In 1993, during the inception of Stephen’s place there was a lot skepticism around the type of impact a halfway house would have on the surrounding neighborhood. Neighbors brought their views to the zoning board and City Council Meetings. Some of the nearby neighbors were completely against what they perceived to be a “treatment” facility. The opposition to this stance was that this house would be closer to a family rather than a treatment facility. After much debate with the public and the city zoning board the plans for Stephen’s Place were approved! Twenty four years later Stephen’s Place is running strong and changing lives in our community. The men who come to Stephen’s Place often refer to Sister Virginia as a mother figure and there is an unmistakable sense of “family” throughout the home. The mission of Sister Virginia and Stephen’s Place is to break the cycle of addiction and restore lives and individuals to their families and the community at large. The Gazebo is in honor of former Board Chairman David Shook’s late wife, Elaine. 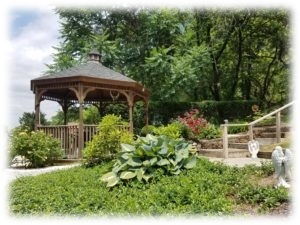 In Lieu of flowers they asked that money be Donated to Stephen’s Place which enabled us to get this beautiful Gazebo. As I am sure most people know, this is a process and does not happen overnight or in 14 or 29 days in a rehabilitation program. An integral component of building a new life free from drugs and alcohol is structure. Once someone removes drugs and alcohol from their daily routine there is a void that must be filled or it will get filled on its own and possibly through negative habits. 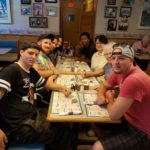 While at Stephen’s Place the men get rooted in a 12-step recovery program, outpatient treatment which compliments the groups at the house, and are required to find and secure legitimate full-time employment. They create a new social network and begin to bond with positive experiences which creates the foundation for long-term success in recovery. While doing all these things they also take full responsibility for the upkeep of the house and property under the guidance of Sister Virginia. One of the primary maintenance responsibilities during the warmer times of the year is the yard and garden. The garden maintenance is not only enjoyable and therapeutic for some but it is also very symbolic for the entirety of Stephen’s Place; in that when a new individual gets accepted into the First Phase Program a seed is planted and it is our hope that the individual will grow and develop into the fullest version of themselves. Many of the men who graduate from the program maintain working relationships with Sister Virginia and come back to the house for meetings and to do work on the property. Check out our Facebook Page to see the recent projects that have been completed! Stephen’s Place will also be taking part in Lehigh Valley’s Plant a Row for the Hungry project this year! This project led to more than one and a half tons of produce being donated to the poor last year. Stephen’s Place is a far cry from a drain on the neighborhood as some anticipated it would be during its inception. 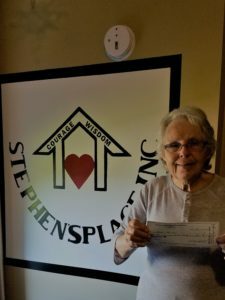 Stephen’s Place today not only restores community members to being productive citizens but donates to organizations that benefit the greater good! The first garden was built by Sister Bernard, MSC, who worked at Stephen’s Place from 1995 till 2000. Originally it was at the front of the back yard where we now have the Gazebo. We had to move the garden toward to the back of the yard so that it would have plenty of sunlight. We needed to build a fence because we have a lot of deer visiting our property. The garden fence was made possible by a donation in memory of Fred Rohs, a good friend of Sister Virginia. The fence was built by one of the former residents and his friend. The residents lined the fence with deer netting. Our only problem was the task of keeping it watered properly. Two years ago a man by the name of Jose Uphuepan came to Stephen’s Place offering to volunteer his time and services. Sister Virginia mentioned her concerns about watering the garden. He informed me that he was an engineer and could install an irrigation system in the garden. In order for this to happen a water line had to be laid underground. One Sunday afternoon some of the residents with the help of Arnie Matose, former Director of Northampton County Dept. of Corrections, dug the trench necessary to lay the water line. This has solved our watering problems. This year two of our new residents who have done gardening in the past came to us with an eagerness to plant our garden. They put their expertise to work and planted a beautiful garden. 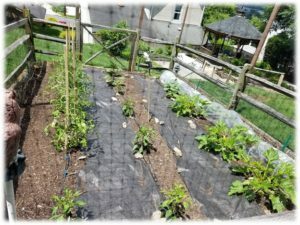 They laid mulch that came from the city’s mulch pile around all the plants and laid plastic between the rows that is keeping our garden almost weed free. This year we have planted tomatoes, green peppers, squash, cucumbers, zucchini, string beans and some spinach. 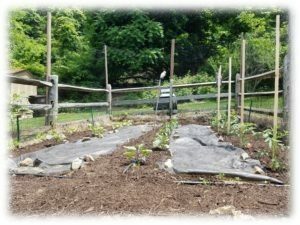 We are looking forward to harvesting our produce and sharing it with New Bethany Ministries, the organization assigned to Stephen’s Place through “Plant a Row Project” project. One of the residents helping maintain the garden. This is the row to be donated to Lehigh Valley Plant a Row for the Hungry Project. The row all the way to the left is to be donated to the plant a row for the hungry project of the Lehigh Valley. Garden in the beginning of the summer.